I went shopping tonight with no agenda, but craving fish and hoping there was something available. 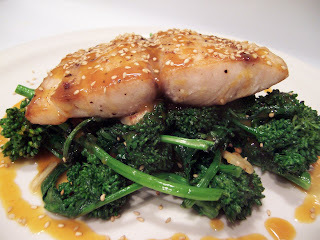 Happiness found me with some good looking wild-caught Mahi Mahi, rapini, and ripe, juicy oranges. Rapini has such a strong flavor, spinach or bok choy would be a good replacement if you aren't a fan. 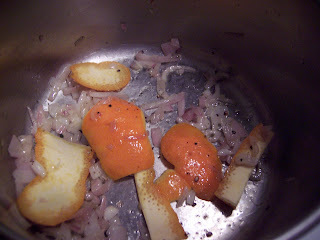 Saute shallot and orange peel in olive oil over medium heat until shallot is soft and translucent. Add remaining ingredients and simmer until leaves have fallen off thyme stems and oranges are completely broken down. 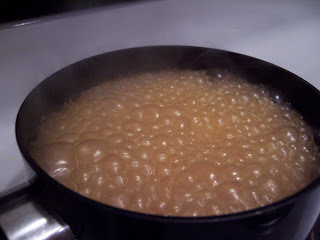 Strain sauce into a small saucepan, allow no solids to pass through. Simmer the reduced sauce over high heat until it is thickened. Once sauce is nearly done, add rapini to a large pot of rapidly boiling water for 1-2 minutes to blanch. Remove and drop into ice water to shock. Drain thoroughly and heat saute pan, add olive oil and cook garlic slices until slightly browning. 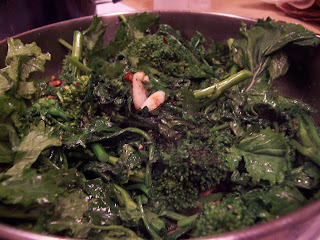 Add drained, blanched rapini and saute with salt and pepper until bright green and wilted slightly. Meanwhile, while sauteing rapini, heat another pan on medium high heat and add olive oil. 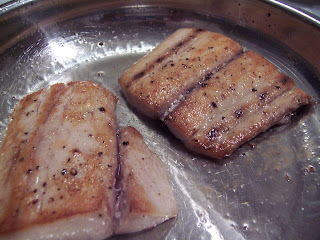 Salt and pepper mahi mahi filets on both sides and carefully slide into pan. Saute (presentation side down) until mahi mahi is opaque at least halfway through the fillet. Carefully flip over and cook just a minute longer. 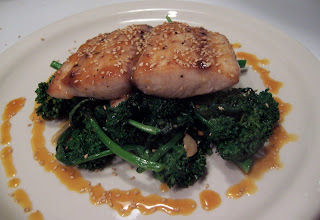 Mound sauteed greens in the middle of the plate, top with fish, then sauce. Garnish with sesame seeds. Serve immediately. Thanks! I used my new squeeze sauce bottles (don't know if that's what they are called, the ketchup-like ones) to attempt a bit less rustic plating than normal. Look at your wonderful presentation! I love Mahi Mahi. I used to get it a lot when I lived in Phoenix but not so much that I live in the PNW...land of the salmon. I don't know how to say this without seeming patronising, so I just hope you take it the right way... I've been meaning to tell you how absolutely impressed I am with your increasing kitchen abilities! It seems you are becoming more and more adventurous and confident in your cooking and its a very pleasurable journey to be following with you. So thank you for your inspiration! Hi Asmo, not patronising at all...but very nice and encouraging! I too think this whole journey has been so helpful in making progress in cooking and baking. 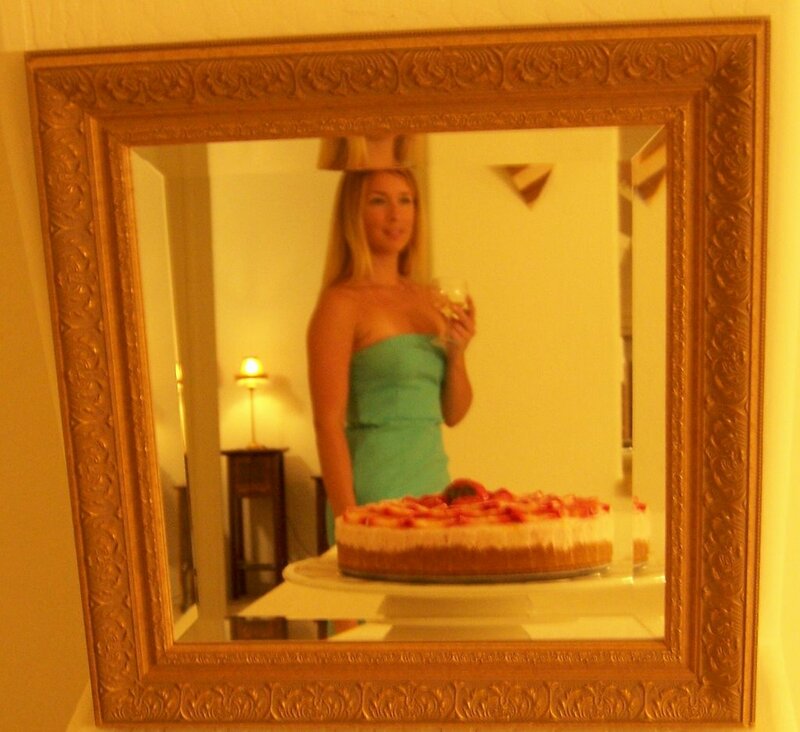 By just recording and taking time to reflect on my recipes and ideas, I am getting more creative and hopefully more and more skilled. So glad Peabody found you and adopted you. Thank you for taking time to stop by. I like the way you cook! GOOD JOB! and thanks for sharing!